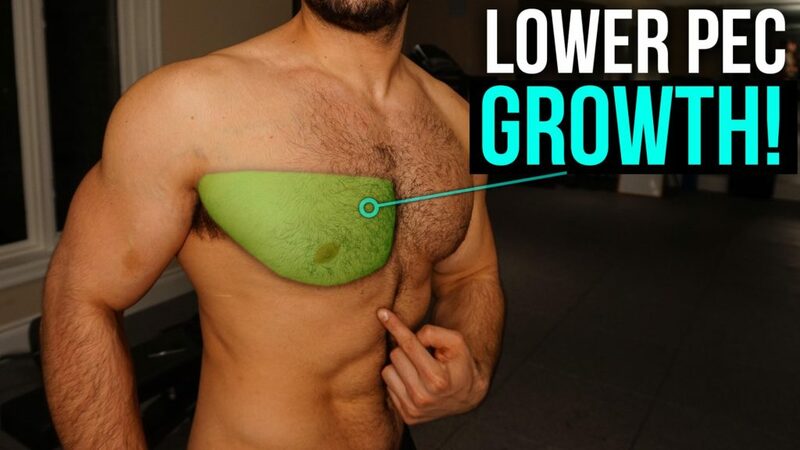 What Are The Best Lower Chest Workout "How To Perform Them"
What are the Best Lower Chest Workout and how to perform them to grow the perfect looking and the proper muscular lower chest? So you can have the overall developed chest. To develop such big muscles like chest and back we need to understand their anatomy first so that we can understand how many muscles our chest has and which exercise hits the perfect muscle. Because the right exercise gives you the result very fast where the wrong posture and wrong exercises hit the wrong muscle that is not good for your muscle, and you cannot develop the particular muscle in a proper manner. If you are performing the exercises in a wrong way then trust me it will take too much time to get developed, and you need to more hard, whereby doing the exercises in a right way can train your muscles in a very short period of time. So in our today’s article, I am going to talk about the gym chest workout, and especially for the lower chest, so that you can develop a fully muscular and the impressive lower chest. Below I will be talking about some of the best chest workout exercises that you can perform in your gym very easily. Well, without wasting the time, let’s get ready to check out the complete article so you can understand What Are The Best Lower Chest Workout, and how to perform them. I saw so many times, that people are performing the Decline Barbell Bench Press, but they are performing in a wrong way. And the most common mistake is the posture and setup, that should be correct before doing any exercise because the posture and setup have its own benefits. So, to perform the Decline Barbell Bench Press, first, you should secure your leg at the end of the bench, then you should have an arch in your back and bench. And your arms should be slightly bent and I would like to suggest you for a medium wide grip, it means your arms should be at the 90-degree angle with the bar. And if possible then always work out with a spotter, so that he can take care of the weight when you need it, also I would like to tell you to always go for the thumb grip never do the workout with the thumbless grip, otherwise, you may get into trouble. So, it was all about how your posture and setup should be like, then start performing the exercise with an equal range of motion, and you need to move the barbell up and down the slowly with controlled speed. It is, how you should perform the Decline Barbell Bench Press to develop a better lower chest. In this sequence of the best killer lower chest workout, our next best lower chest exercise is the Decline Dumbbell Bench Press. There is a little bit difference between the decline barbell bench press and the Decline Dumbbell Bench Press. But helps you to develop the perfect lower chest and it shapes you properly because it hits the perfect muscle of your lower chest and you will feel the right stretch in your lower chest and front delt also. Where the barbell press involves the triceps more, the dumbbell bench press involves the biceps more. So, your biceps will be working while performing the decline dumbbell bench press. Your posture and setup should remain the same as the decline barbell bench press. Just you need to move the dumbbell up and down in a controlled and straight manner. The third most important lower chest workout is the smith machine decline press, it is just the same as the decline barbell bench press. It affects your chest same as the barbell bench press. But it is a little bit easier than the above two exercises because here you have a fixed path on which you need to move the bar and the selected weight. So, here is, how you should perform this exercise to hit the right muscle and to train your lower chest in a proper manner. Position a decrease seat in the rack with the goal that the bar will be over your chest. Load the suitable weight and have your spot on the seat. Rotate the barbell to remove it from the rack and completely broaden your arms. Your back should be marginally angled and your shoulder bones withdrew. This will be your beginning position. Start the development by flexing your arms, bringing down the bar to your chest. Interruption quickly, and after that stretch out your arms to drive the load back to the beginning position. So this is how you should perform this exercise in a proper manner, to achieve your goal as fast as you can. Just you need to understand that which muscle you want to hit and what should be the right position, and on which point you will get the maximum stretch in your muscle. And if you want to develop your muscles in a fast pace then very first you should take care of your posture and setup because it is the most common mistake that people are doing normally. With a wrong posture, you cannot hit the targeted muscle. So, you should work on every single point, because your small improvements and correction will give you the best result that you always want. Just try these top 3 best lower chest workouts in your gym and you will be getting the expected result, but the thing is you should take care of that you are doing all right. I mean, you should do hard work, but before that, you should do the smart work because that is the only way to achieve the desired goal in a short period of time. Previous Post:What To Eat And What To Avoid To Stay Healthy?